Bill Mazer died on Wednesday. When I saw the obituary online in the NYT, I was transported back to my days as a passionate fan of New York sporting teams, and to one of the great sports conversationalists. I’m not a listener of talk radio, but I suddenly remembered that I was once, thanks to Bill, a pioneer who deserved a wider platform for his intelligence. When Mr. Mazer retired in 2009, he had spent more than 60 years in broadcasting — 20 of them as a nightly sports anchor and the host of the weekend roundup “Sports Extra” on WNEW-TV, Channel 5. Before then he had been a host of sports-talk radio when the very idea of the format was new. He ranged beyond sports occasionally in radio interview programs with figures from all walks of life, but sports was his passion and had been since he was growing up in Brooklyn. For a time, though, while attending a yeshiva, he envisioned becoming a rabbi. Mr. Mazer had been covering sports at radio and TV stations in Buffalo for 16 years when he was hired by WNBC-AM in March 1964. It was unveiling an innovative talk format. Mr. Mazer held down the sports call-in spot while others, including Brad Crandall, Long John Nebel and Big Wilson, fielded calls on just about anything else. He was born Morris Mazer on Nov. 2, 1920, in what is now Izyaslav, Ukraine, and moved with his family to Brooklyn when he was an infant. His father worked in a kosher poultry market. His mother took the boy and his friends to Ebbets Field to see the Dodgers and occasionally to the Polo Grounds to see the Giants. But his father, like many new immigrants, regarded sports as a time-wasting frivolity. Bill Mazer often lamented that he did not make it bigger, never quite breaking through as a nationally known figure rather than primarily as a New York-area sports broadcaster. But he missed the point. Amazin’, who died Wednesday two weeks shy of turning 93, was the right guy at the right time in the right place, becoming in his own very New York way an important figure in sports media history. Mazer was born in Ukraine but grew up in Depression-era New York, rooting for the Dodgers — especially pitcher Van Lingle Mungo — before settling after World War II in Buffalo, a job he landed through a guy he met in the South Pacific named Marty Glickman. Sixteen years later, he was back where he belonged, on WNBC, where in 1964 he began a talk show — perhaps not the very first to host a sports call-in program but the first to use his kibitzing skills to popularize and perfect the art. Mazer’s legacy lacks the historical weight of his contemporary Glickman, a world-class athlete turned influential announcer who mentored a long list of broadcasting stars and who, by the way, preceded Mazer in talking sports on the radio. But no matter. 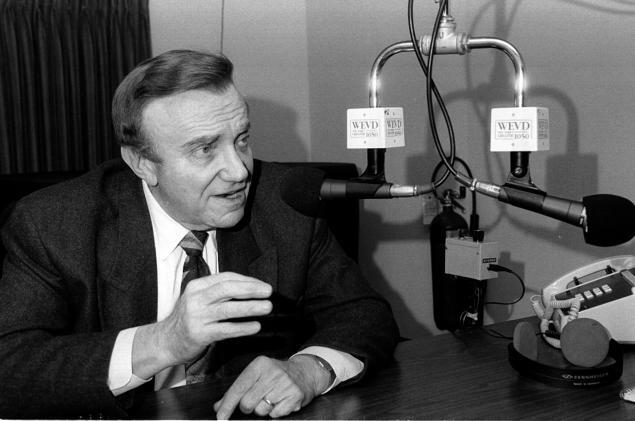 Mazer helped make and keep sports fun and connected in particular with a generation of teenage boys now turned men in their 60s with fond memories of calling WNBC on late afternoons and having their opinions taken seriously. I never called in, but I was part of that generation.